This game was created as a part of 8-hour game jam my buddy and I did - ENJOY! 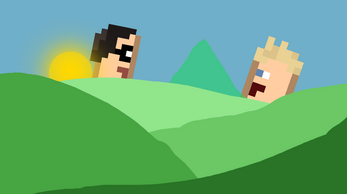 Are you man enough to save Grete from the evil hands of the circle people? What about the evil moving cannons? Download The Great Adventure of Adolf Umblep and find out!